Lock in a great price for The Ivy Barn B&B – rated 8.7 by recent guests! They were flexible and friendly when our train was delayed and gave us the key even though it was later than we expected to arrive. Breakfast was good. The room was spacious with a chair each. The breakfast was excellent. The packed lunch was delicious and great value. Good central village location. We loved the little touches in the room for example the home made cookies! 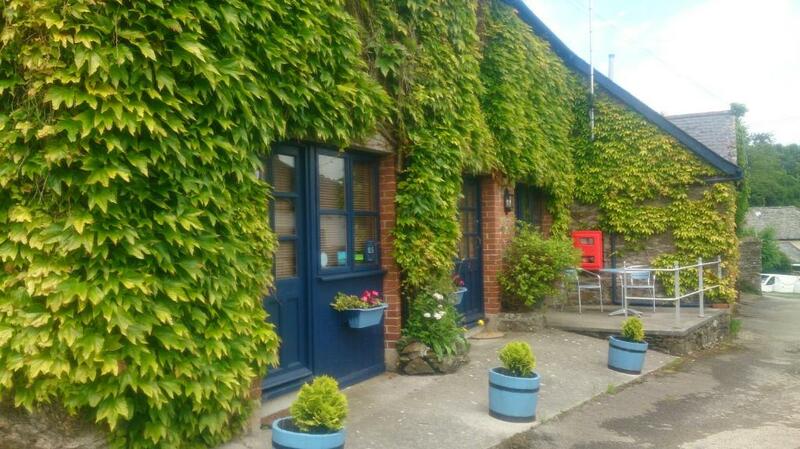 A nice clean and comfortable B&B with friendly hosts set in a lovely and peaceful location surrounded by countryside. Perfect location, welcoming and friendly owners , lovely room , absolutely spotless - bed comfy - amazing breakfast . 10/10 . Everything. The owners were friendly and professional. Went for a lovely walk before breakfast in a gorgeous location. The hosts were very friendly and helpful. Room was clean and beds comfortable. Well located with ample parking. Scrambled eggs and porridge highly rated. We had the family room which had an upstairs for 2 /3 children whilst there was a double downstairs. It was quirky! And good that we had somewhere to sit and watch TV. Breakfast was amazing! This family-run dog friendly B&B is located in the small and quiet village of Holbeton in the South Hams countryside, 6 miles from Dartmoor National Park. It offers cozy rooms and hearty breakfasts. Rooms at The Ivy Barn B&B include a flat-screen Freeview TV, tea and coffee making facilities and an private bathroom. Breakfast is included, and it is served in the breakfast room overlooking the garden. There is a continental breakfast of fresh fruit, yogurt and cereal offered while a full English or vegetarian breakfast is being prepared for you. Gluten-free and vegan options are also available. 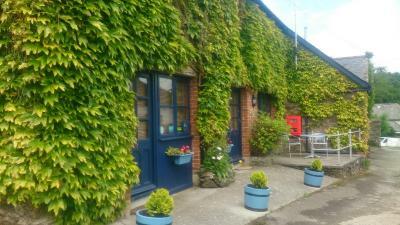 There are 2 village pubs located close to the Ivy Barn and the surrounding area is popular with cyclists and walkers. There is also a post office and a shop in the village. Mothecombe Beach is 2 miles away. The property offers free parking. Plymouth is 10 miles away and Exeter, 35 miles. Plymouth Ferry Terminal can be reached in a 30-minute drive. When would you like to stay at The Ivy Barn B&B? This compact room comes with a king-size bed and features a flat-screen Freeview TV, tea and coffee making facilities and free Wi-Fi. This comfortable room with attached bathroom with private entrance comes with a king-size bed and features a flat-screen Freeview TV with DVD player, tea and coffee making facilities and free Wi-Fi. This more spacious room with attached bathroom with private entrance comes with 2 single beds and features a flat-screen Freeview TV, tea and coffee making facilities and free Wi-Fi. Set over 2 floors in a converted barn, the Family Suite features a bedroom with king-size bed on the ground floor, and a twin bed and double bed settee, with a bathroom with a bath and handheld shower, on the first floor. There is a seating area available for the children and a small TV on the first floor and a seating area downstairs with a large TV and DVD player for the family. Please note that WiFi access is currently not available in the Family Suite. Please note that a child's extra bed or a baby cot are available upon request and at an extra cost. Please use the Special Request Box when booking to arrange this. If additional adults or children are included in the booking, please inform the property using the special request box. House Rules The Ivy Barn B&B takes special requests – add in the next step! The Ivy Barn B&amp;B accepts these cards and reserves the right to temporarily hold an amount prior to arrival. The Ivy Barn B&B accepts these cards and reserves the right to temporarily hold an amount prior to arrival. A surcharge of GBP 20 applies for arrivals outside check-in hours. All requests for late arrival are subject to confirmation by the property. If a cot is required for a room then please request this when booking by using the Special Requests box. This is due to a limited number of cots and rooms which can accommodate them. An additional charge applies. Please note that if you are taking directions from a GPS and you are approaching Holbeton from the A379, ignore the instruction to take the Ford turn-off as this is a very narrow road. Continue on instead until you see the sign for Holbeton. Turn left here and take the small access road behind the pub and the church at the Fore Street and Church Hill junction, opposite the Post Office. Cream Tea is available in the summer until 17:30. Advance notice appreciated. This is a no-smoking establishment. Pets are only allowed by special arrangement and a surcharge will be applied. Dogs can be accepted at the property for GBP 7 per dog, per night. If you wish to bring your dog please telephone before making your booking in order to confirm that a suitable room is available, otherwise the property cannot guarantee acceptance of your booking. The property can provide dog beds, bowls and dog treats, free of charge. Please note that the access road leading to the car park is only 8.2 feet wide. Payments are made on arrival by cash or card. Please inform The Ivy Barn B&B of your expected arrival time in advance. You can use the Special Requests box when booking, or contact the property directly using the contact details in your confirmation. Better signage, we didn't see it at first. The height of the ceiling in the shower was too low to stand up in so had a bath instead. Rooms comfortable and warm, very friendly welcome and a fantastic breakfast. Would have been easier to find if the sign was on the entry to the village. Clean and comfortable, the owners were very helpful, friendly and welcoming. We had a very enjoyable breakfast. Excellent cooked breakfast and easy parking. Very helpful and friendly hosts.